National Board of Examinations recently came out with an announcement that NBE shall be conducting NEET SS (NEET Super-specialty) for the second time in the country in the year 2018 and this shall be a common entrance exam for admissions to DM/Mch/PDCC courses. NEET-SS is a single window entrance examination for all the super specialty MCh. (Master of Chirurgical) / DM (Doctorate of Medicine)/PDCC (Post Doctoral Certificate Courses) courses in the country. No other entrance examination, either at state or institution level, shall be valid for entry to DM/MCh Courses as per the Indian Medical Council (Amendment) Act, 2016 w.e.f. 2018 admission session. It’s mandatory to qualify in NEET-SS for gaining entry to DM/M.Ch. Courses under various Universities/Institutions in the country. NOTE: – AIIMS, New Delhi /PGIMER, Chandigarh/ SRICHITRA, Thiruvananthapuram /NIMHANS, Bangalore /JIPMER, Pondicherry are institutions not covered by NEET-SS. Online Registration and Scheduling begins in early 2018. Online Registration and Scheduling for the examination must be completed tentatively by May 2018. 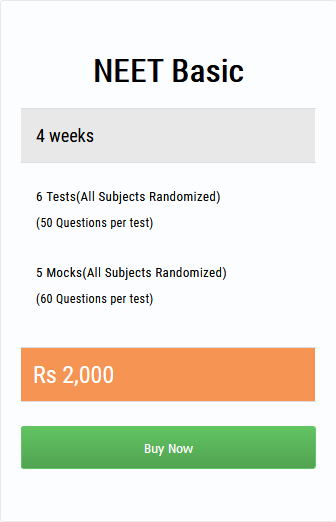 Rs.3,750/- is the fee for the NEET SS 2018 entrance examination and has to be remitted through the payment gateway, at the time of online registration, using a credit card or debit card issued by the Banks in India or through online banking. The above fee is inclusive of examination fees and information bulletin. Take a note that information bulletin will not be sold separately. Information Bulletin shall be available at website www.nbe.edu.in for more information, please visit the website. Candidates remaining absent from the examination or ineligible will forfeit their examination fee. Candidates are advised to read the rule position carefully and satisfy the terms and conditions for fulfillment of NEET SS eligibility criteria before proceeding for payment of fees. Fees shall neither be refunded nor carried forward if the application for NEET-SS is rejected/candidature is found to be ineligible or candidate is unable to appear in the examination. Since NEET SS is happening for the second time in the year 2018, a lot of candidates are anxious about the exam details, registration, fees and pattern of the exam.